The FOXPRO SHOCKWAVE Game Call is one of the most popular game calls on the market. 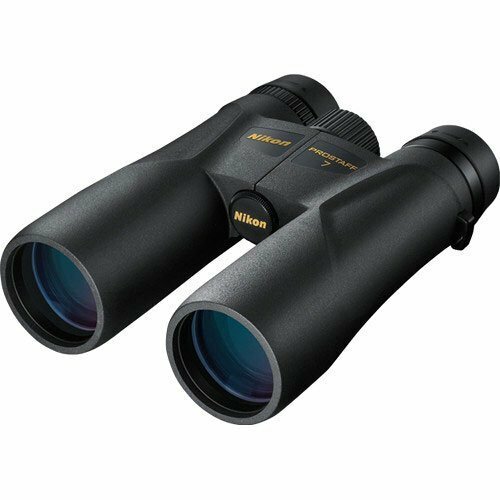 It comes with several important features that could make it ideal for your hunting expeditions. In this FOXPRO SHOCKWAVE Game Call review, we shall focus on the SHOCKWAVE’s features, its pros and cons as well as customers’ most frequently asked questions. 1.7.1 Q. Who are the manufacturers of the SHOCKWAVE? 1.7.2 Q. Does the SHOCKWAVE come with a warranty? 1.7.3 Q. In which country is the product made? 1.7.4 Q. What are the dimensions of the SHOCKWAVE? 1.7.5 Q. What is the overall weight of the SHOCKWAVE? 1.7.6 Q. How many sounds does the SHOCKWAVE come with? 1.7.7 Q. Can I store more sounds on the SHOCKWAVE? 1.7.8 Q. How many speakers does the SHOCKWAVE have? 1.7.9 Q. Can I connect more speakers to the SHOCKWAVE? 1.8 Q. What are the file formats that the SHOCKWAVE is compatible with? 1.8.1 Q. Is the call waterproof? 1.8.2 Q. Does this call run on batteries? 1.8.3 Q. Can the SHOCKWAVE be operated with a remote control? 1.8.4 Q. How many batteries does the remote run on? 1.8.5 Q. How do I take care of the SHOCKWAVE? FOXBANG™: This feature allows you to enjoy hands free sound changing. FOXMOTION™: With this feature, you get the unique opportunity to fade the sounds from the SHOCKWAVE’s left speakers to its right speakers in order to make the sounds sound more realistic. The fading of the sound from one set of speakers to another mimics a moving prey and easily fools a predator. FOXPITCH™: This is another FOXPRO feature that plays an important role in drawing in predators. The FOXPITCH feature allows one to easily manipulate a sound’s pitch in order to trigger a response. FOXFUSION™: As the name implies, this feature allows the user to mix and match two sounds of his or her choice together during a calling sequence. This is very effective in drawing in game. FOXDATA™: With this feature, you will be able to accurately record real time information from each stand and store the information for future reference. The feature allows you to record important information such as moon phase, temperature, stand duration, etc. Why is this information important? It is important because you can use it as a guide to predict animal activity and your likelihood of success. The above are just some of the new FOXPRO innovations that the SHOCKWAVE comes with. These features work together to make the SHOCKWAVE one of the most useful electronic game calls on the market. The SHOCKWAVE comes with the TX-1000 remote which provides an excellent remote operation of the device. The remote has an LCD full color graphic screen, which clearly displays all the sound lists or categories available on the device. 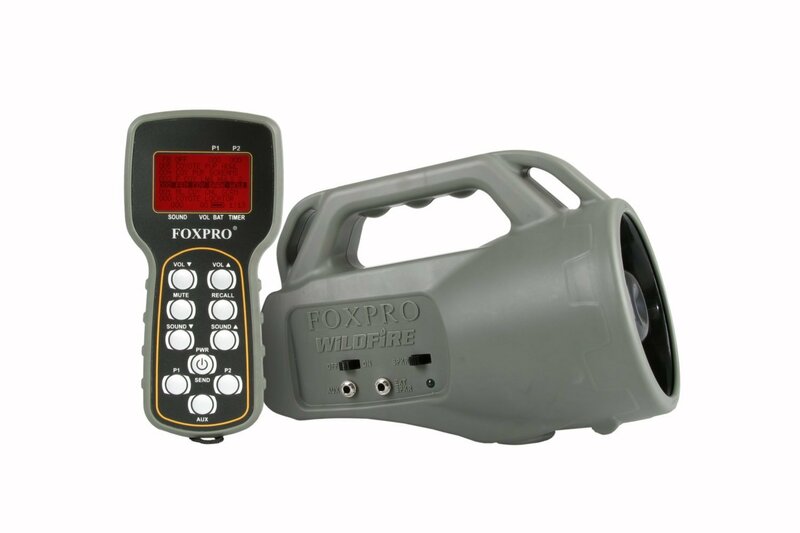 In addition to this, it also comes with a moon phase indicator, a temperature indicator, a barometer indicator and a battery level indicator, FOXBANG technology among several other FOXPRO innovations. The SHOCKWAVE comes with two 3.5mm External Speaker Jacks for connecting external speakers if you feel you need more volume, a USB Port to connect the call to your computer for reprogramming, a 3.5mm Auxiliary Jack to connect any FOXPRO approved device of your choice such as a Jack Predator Decoy, and last but not least a Charge Jack for power. It is a very effective electronic game calling system. It comes with a remote control that has a full color graphic LCD screen. It comes with realistic sounds and has the capacity to store as many as 1,000 sounds. It is compatible with multiple file formats such as MP3 and WAV. Reprogramming the call is very easy. The sounds are categorized based on species, which makes finding the right call extremely easy. FOXPRO backs the SHOCKWAVE with a 5-year limited warranty. Some customers complain about the remote’s range not being very wide enough. Q. Who are the manufacturers of the SHOCKWAVE? A. The SHOCKWAVE is manufactured by an American company named FOXPRO®, Inc., who are renowned for manufacturing high performance digital game calls as well as high quality hunting gear and accessories. Q. Does the SHOCKWAVE come with a warranty? A. Yes it does! FOXPRO backs the SHOCKWAVE Game Call with a 5-year limited warranty. A. The SHOCKWAVE is made in the U.S.A.
Q. What are the dimensions of the SHOCKWAVE? A. 5.75″ x 12.25″ x 7″. Q. What is the overall weight of the SHOCKWAVE? A. With batteries, the SHOCKWAVE weighs about 3.9 lbs. Q. How many sounds does the SHOCKWAVE come with? A. It comes with 100 quality sounds. Q. Can I store more sounds on the SHOCKWAVE? A. Yes! The SHOCKWAVE allows you to store as many as 1,000 sounds on it. Q. How many speakers does the SHOCKWAVE have? A. It has four speakers – two tweeters and two horn speakers. Q. Can I connect more speakers to the SHOCKWAVE? A. Yes you can! The device comes with 2 external speaker jacks meant for connecting external speakers to it. Q. What are the file formats that the SHOCKWAVE is compatible with? A. The SHOCKWAVE is compatible with a number of file formats, including WAV, FXP and MP3 files. Q. Is the call waterproof? A. No. The SHOCKWAVE isn’t waterproof. Q. Does this call run on batteries? A. Yes! The SHOCKWAVE runs on 10 AA batteries. Q. Can the SHOCKWAVE be operated with a remote control? A. Yes! You can operate the device with its remote control or manually. The choice is yours! Q. How many batteries does the remote run on? A. It runs on three AA batteries. Q. How do I take care of the SHOCKWAVE? You should never expose the SHOCKWAVE to precipitation or moisture. This means you cannot use the SHOCKWAVE under the rain without using a waterproof deployment bag to shield it. Make sure you always store the call in a dry place. Make sure you remove all the batteries from the SHOCKWAVE before you store it. In conclusion, the FOXPRO Shockwave Game Call is indeed one of the most effective electronic game callers out there. With its numerous good features and functions, the SHOCKWAVE has the ability to make a predator hunter’s hunts much more successful and enjoyable. Having read the review above, what do you think about the SHOCKWAVE? Does this product fit the bill or not?